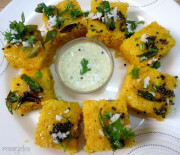 Steamed savoury cake made with semolina and vermicelliIdli is the most popular breakfast /tiffin of southern India, specialty from the state of Karnataka. 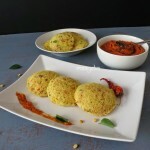 Though traditional idli is made with rice and white lentil but it need pre preparation and need some practice and experience to get soft pillowy idlis ,once you master the proportion and technique, it is very easy to get fresh and light idlis every time.Idli can be served as breakfast, lunch, dinner and great to carry in tiffin boxes.There are so many variations to make idlis-semolina idli, millet idli, idli for fasting and many many more. Heat oil in a pan and add white lentil and saute. When it become pink then add mustard seeds and cashews. When seed start crackling then add vermicelli and saute on medium heat for 2 minutes. Now add semolina,green chilies and curry leaves and roast for a minute. Switch off the flame,add chopped vegetables and let it cool down completely. Now add beaten yogurt,salt and some water and make a medium thick batter. 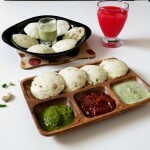 Grease idli moulds and boil water in the steamer. 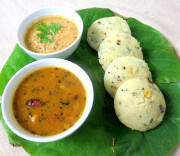 When water start boiling then add eno in the batter and fill in the idli moulds. Steam for 10 minutes in the steamer. Take out ,rest for 2 minutes and scoop out with a wet spoon. 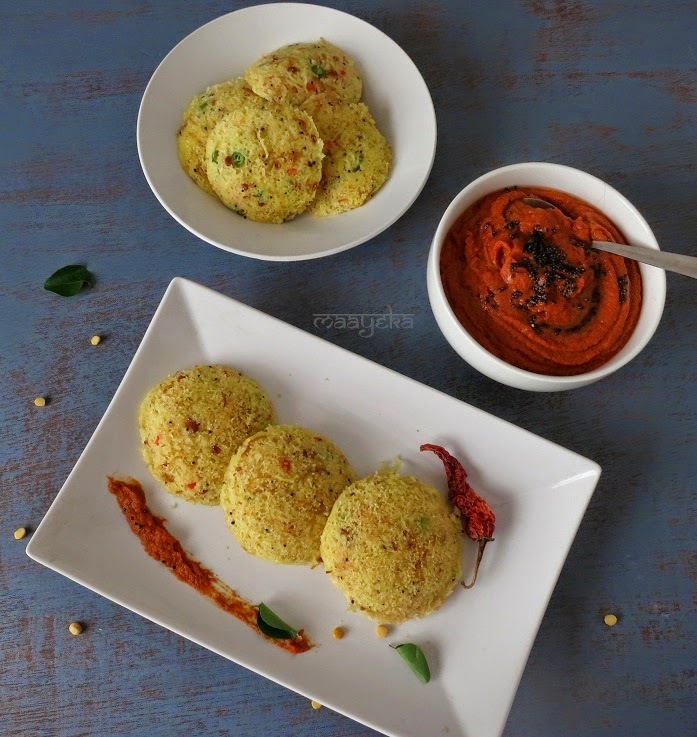 Serve with coconut chutney and tomato chutney. 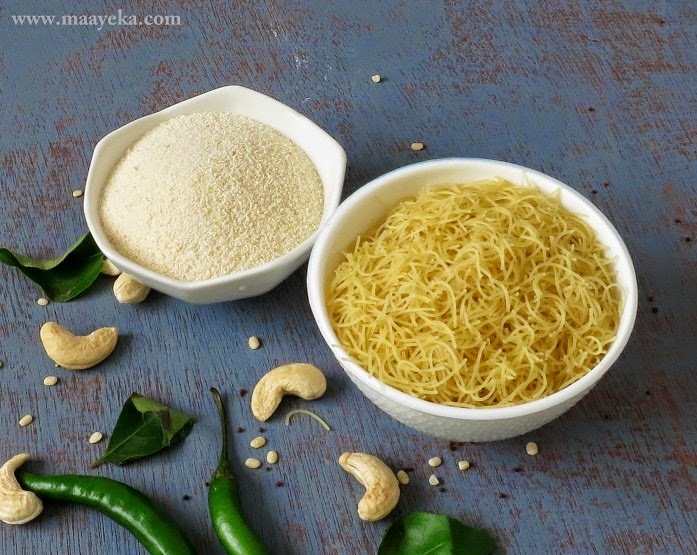 1-You can skip vermicelli and can make it only with 2 cups of semolina . 2-If available then use slightly sour yogurt or add 1 tsp of lemon juice. 3- Addition of vegetables is optional. 4- I have used Bambino vermicelli,but you can use any variety. 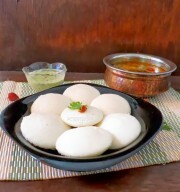 The idli looks so yummy. I will definitely try this. Looks yummy and delicious. Very new recipe for me. 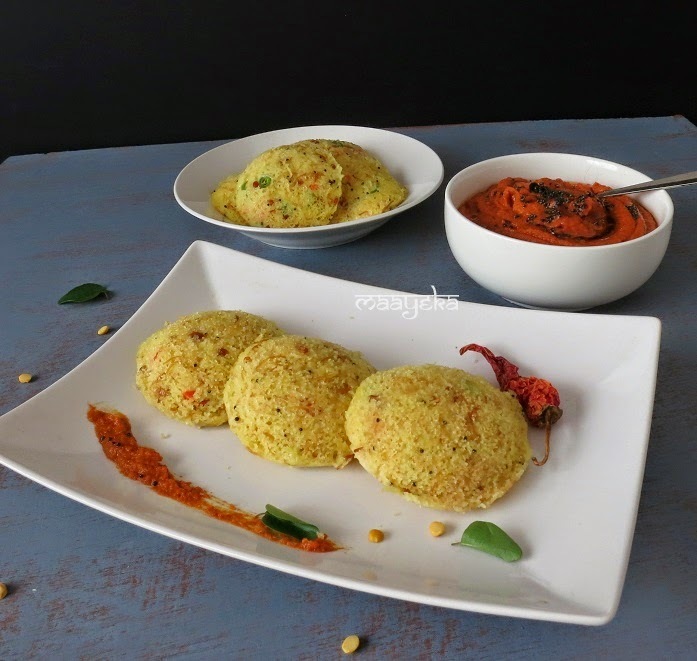 Must try this one…Lovely clicks..
Vermicelli is a grt adfoyion .. Idli looks soft..
came upon your blog a few days back and have been so excited about it!! 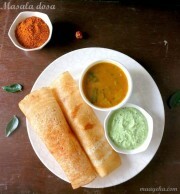 Have always been looking for some satvik recipes and I wonder why I never happened to c ur blog!!? 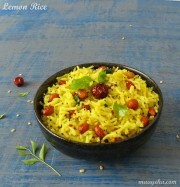 Thank u so much for being so active in posting all threes wonderful recipes and tips.seems like we are all ur daughters ! !